Per Sempre Toys "the wooden toy shop" = high quality, durable toys. Per Sempre Toys "the wooden toy shop" began on October 20th 2010. High quality and excellent service, that's what Per Sempre Toys "the wooden toy shop" strives for. Per Sempre Toys "the wooden toy shop" helps and supports the charity Villa Pardoes. The founders of Per Sempre Toys "the wooden toy shop" were unable to spend enough time on the development of the company so in April 2012 they searched for new owners. The new owners worked with children who have special needs such as down syndrome, autism and who are highly gifted. Sometimes is can be difficult to find a gift for these children and this is why Per Sempre Toys "the wooden toy shop" is specialised to help parents find something that is suitable. For example: a walking bike is a nice gift for a 15 year old with down syndrome but this toy is aimed at children aged 3 - 6 years. Hetty found this the perfect opportunity to build on the philosophy of good customer service, high quality products, competitive prices and a passion to help all children grow and develop with the help of these toys. 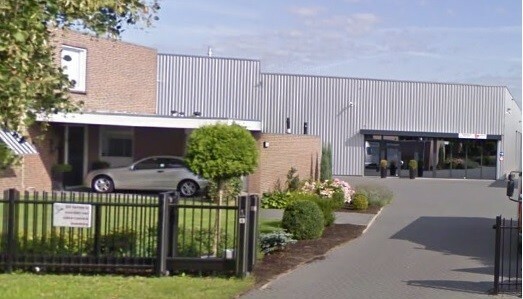 Per Sempre Toys delevers almost all orders from its own warehouse on the Friezenweg in Oss. You can also collect your orders from the warehouse. Per Sempre Toys "the wooden toy shop" is in partnership with charities. One of the charities is Villa Pardoes. Per Sempre Toys "the wooden toy shop" donates 10% of the profit to Villa Pardoes. This way, all customers of Per Sempre Toys "the wooden toy shop" support the Villa at Villa Pardoes. Read more over Villa Pardoes! Safely shopping on the webshop from Per Sempre Toys "the wooden toy shop"
Per Sempre Toys "the wooden toy shop" meets all the requirements you would expect from an online shop. Per Sempre Toys "the wooden toy shop" has been awarded 'certified Webshop' and is named most reliable and independent.Read more over the certification of this webshop on Stichting Webshop Keurmerk. For the conditions and privacy click here. Follow Per Sempre Toys "the wooden toy shop"
You can follow Per Sempre Toys "the wooden toy shop" on Twitter and Facebook.this way you can stay up to date with the latest news and the interesting wooden toy deals aanbiedingen. Friends of Per Sempre Toys "the wooden toy shop"
Do you also want to be friends with Per Sempre Toys "the wooden toy shop" , please feel free to contact us.